This is football food. Well, this is football-watching food. This is tailgate-in-your dining room food. And it's really good! 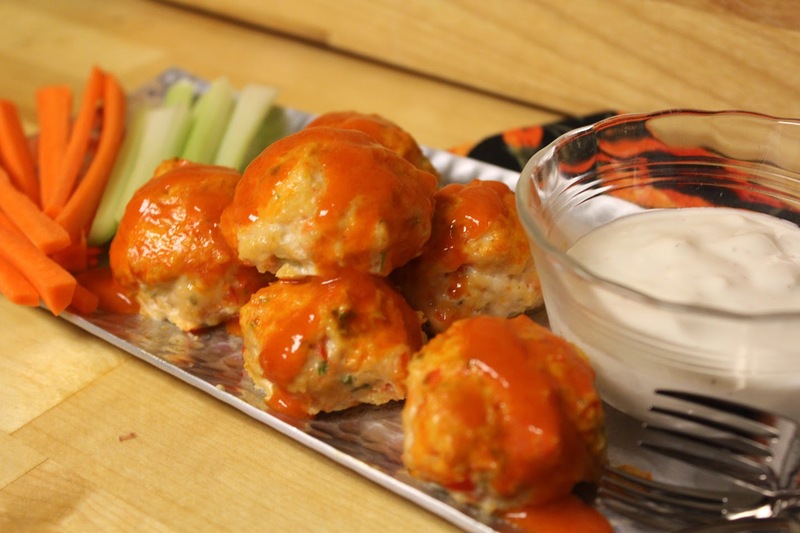 I am a superfan of Buffalo Chicken wings. I love them. I love the sauce; I love the blue cheese dressing. I love how they just mean party! But, in an attempt to lighten things up and sneak in some veggies, I did some googling and found some recipes for meatballs. I changed things up a bit and loved the results! 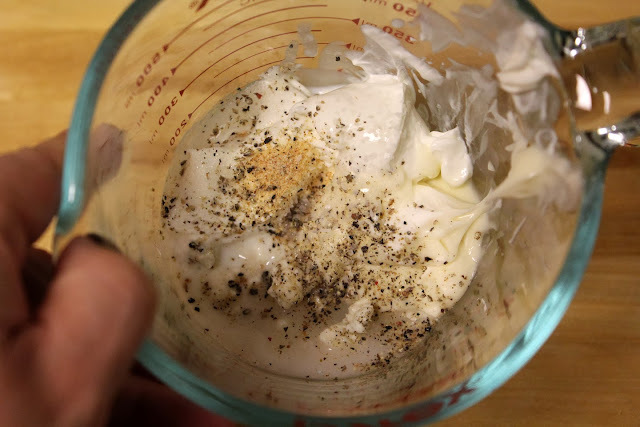 I mixed up a chunky blue cheese dressing and we had apps for dinner. Awesome. In a food processor finely chop the onion, carrot, celery, parsley and the bell pepper. Add or remove veggies to get to about 2 cups of minced veggies. Add in egg, breadcrumbs and garlic. 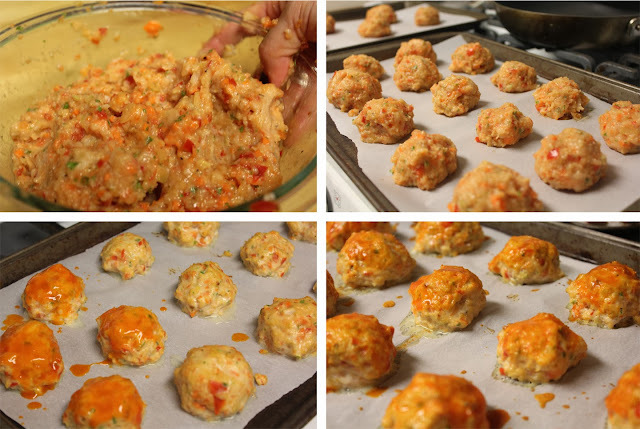 Fold ground chicken into veggie mixture and start forming into 2 inch meatballs. Place formed meatballs on parchment lined baking sheets. Space them about an inch apart. 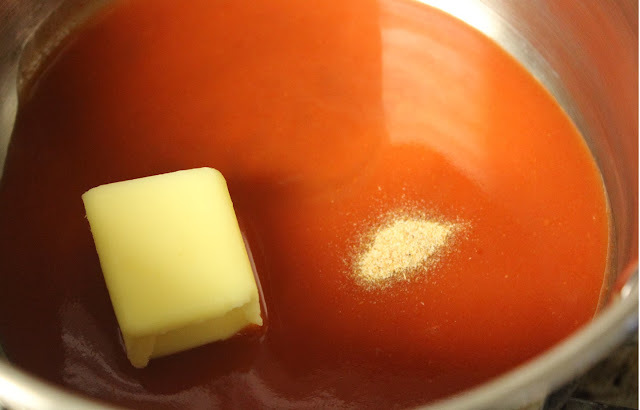 Meanwhile, simmer hot sauce, butter and garlic over low heat to melt butter and reduce sauce slightly. Divide sauce into two containers. Bake meatballs for 15 minutes. Remove from the oven and brush the meatballs with half the Buffalo sauce. Bake for another 10-15 minutes or until the meatballs reach an internal temperature of at least 165 degrees. Top with additional Buffalo Sauce from the reserved container and serve with veggies and blue cheese dressing. 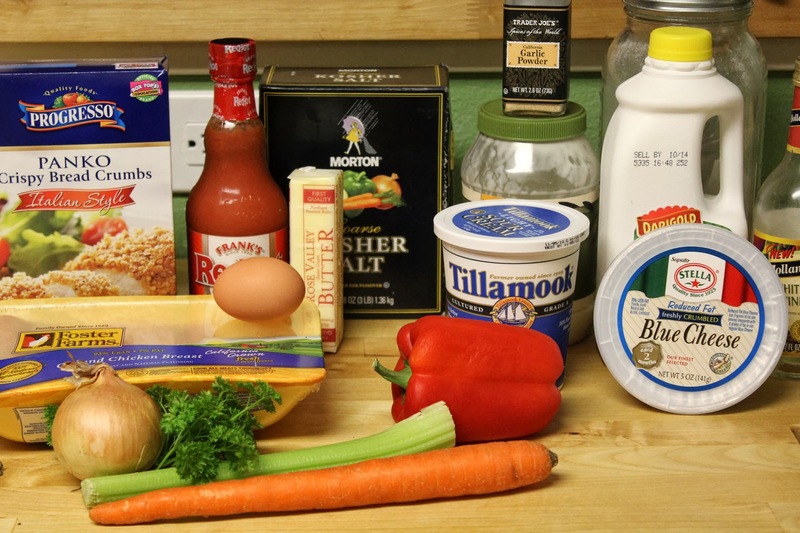 Mix all ingredients together and let the dressing rest in the fridge for at least 30 minutes and hopefully longer. It gets better as the flavors blend together. I left a few meatballs without Buffalo sauce and my toddler grubbed them down. Nice way to add veggies to a meal! 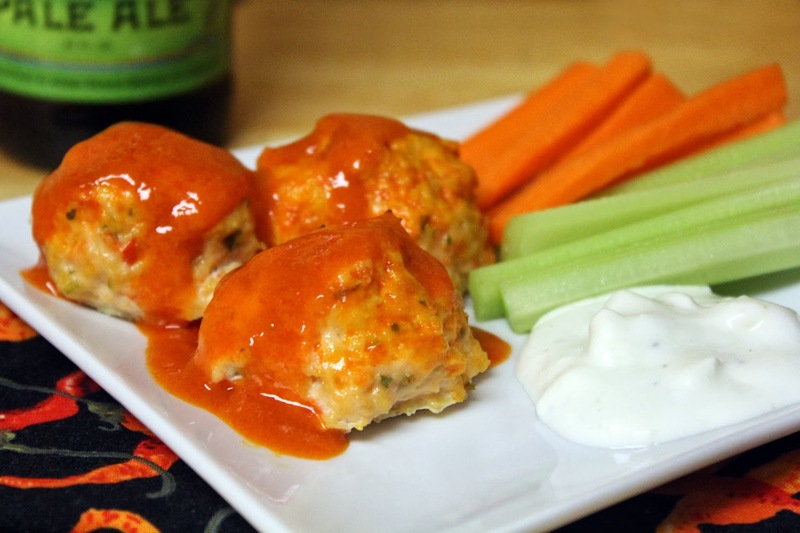 We tend to like dark meat chicken in our house and would like to try these with ground dark meat. The blue cheese dressing is thick. Thin it down with extra buttermilk. Black Cauldron Cocktail - YUM!!! 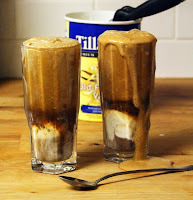 I can't wait to make these again! !